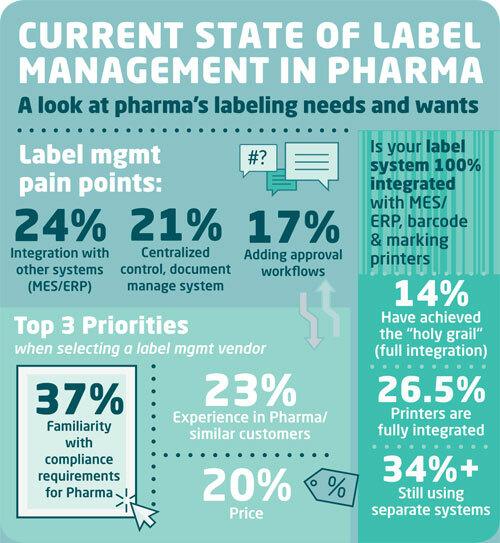 NiceLabel recently produced a survey in cooperation with Pharmaceutical Manufacturing on the state of label management in the pharmaceutical industry. One hundred key decision makers involved in the selection and purchase of label management systems in the pharma and biopharma were surveyed. These key individuals highlighted the need for document control, integrating label management systems with ERP/MES and other systems, web printing and scalability. These are the most common challenges identified in an increasingly complex and fragmented production environment that often involves managing multiple products, locations and markets. One of the overarching themes emerging from the survey was the need for a single, centralized platform for label design, change control, printing, integration and management to overcome the challenges. Only 14% of those surveyed have achieved 100% integration with their MES/ERP system. Over 34% are still using separate systems to manage their labeling and marking printers. 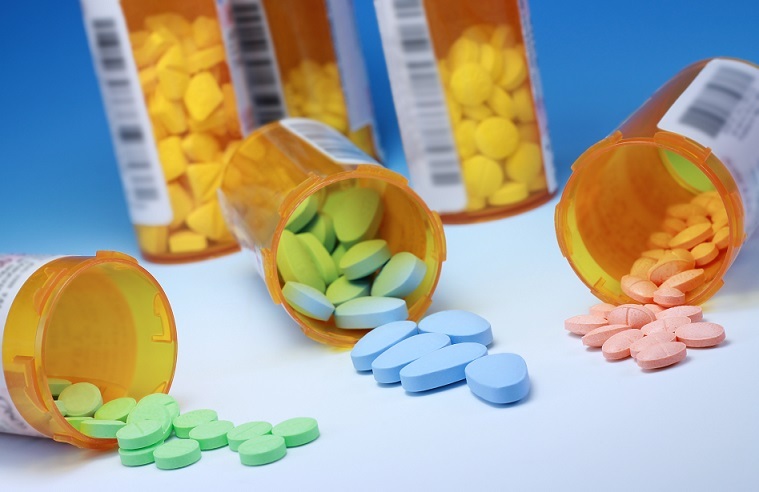 Having disconnected systems makes it extremely difficult to update and maintain label databases, and it means pharmaceutical manufacturers are missing out on the productivity and quality gains that can come from a fully-integrated label management solution. Ultimately it comes down to the safety of their customers, who can be adversely impacted by inaccurate label information. This is just one of the major risks that a modern label management system can help mitigate. The survey also revealed that compliance with upcoming regulations is top-of-mind for pharma manufacturers. 80% of respondents listed compliance as the number one driver when selecting a label management software. Over 60% of those surveyed stated that familiarity with the pharma industry and its compliance requirements is the most important factor when selecting a new labeling system provider. Download the full survey here. Many pharmaceutical companies are realizing that they have simply outgrown their existing systems and a next-generation solution is needed for them to achieve long-term, sustainable growth. Visit our pharmaceutical solutions page to learn more about how NiceLabel can help. Click here to read more pharma related posts. Thanks for providing Pharma related Information. Really good work. This Article is very useful for pharmaceutical companies Growth.As well as for the pharmaceutical manufacturers.Thank you.